Operations Security (OPSEC) and OPSEC Planning should be an important part of everyday planning for anyone’s life who’s concerned about protecting their family and their livelihood, and that’s just what prepping is all about. But just what is OPSEC anyway? 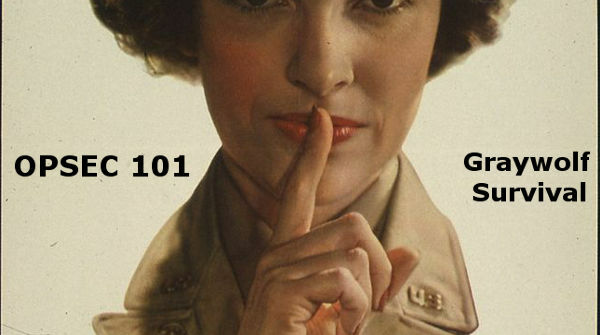 There is a LOT of information out there on the OPSEC Process, OPSEC Plans and everything else as it pertains to Military OPSEC but how does this relate to how to be a prepper? That’s what this series of articles is going to investigate. OPSEC is an important part of keeping yourself safe now and if you find yourself in a disaster situation, weather emergency, or if SHTF. It’s an important part of keeping your home safe as protecting a bug out shelter if you have one. Now this is definitely an advanced prepper lesson but if you REALLY want to understand and implement OPSEC more than just watching what you say, this is where to learn it. All that sounds all mumbo-jumbo, and it kind of is. Learning how to be a prepper shouldn’t be so complicated. I’ve gone through the military training, used this stuff on real operations, and even taught the theory at the courses, and that stuff still makes my eyes bleed. Let’s see if we can break it down a little further so it reads more like something other than an encyclopedia. I don’t know what all that dragon talk is about. All right, I do know, but it’s a little strange. Admiral Ulysses Sharp, the Commander-in-chief of the Pacific Theater during the Viet Nam war coined the term referring to the enemy. One thing I always liked about Sharp’s methods is that he talked about ‘thinking like the wolf.’ Go figure. Essentially, it’s about putting yourself in the shoes of your opponent. In the case of preppers, this usually means others after a natural disaster when SHTF or even as far as TEOTWAWKI. It’s a much better way to look at the process to understand it but I think it’s just a little too simplistic to really help a prepper to protect their family and their preps before and after SHTF. After years of doing this, here’s what I came up with as an understandable process for Operations Security pertaining to how to be a prepper, which is only a slight variation from these two above and others I’ve seen. Step 1: What do you have? Step 2: What do you need to protect? Step 3: Who do you have to protect it from? Step 4: What information would an adversary want to know? Step 5: What can they find out that they could use to piece it together? Step 6: What could you do to protect those pieces of information from your adversary? How to be a Prepper: OPSEC for Preppers Step 1: What do you have? You need to learn how to be a prepper with good OPSEC, and the next step of your Operations Security plan should be figuring out what exactly you have. Why? You have to know what to protect when SHTF. Go through every single thing you have. Everything you have has a cost associated with it. Things take up space, require maintenance, have to be protected, have weight and cost money. 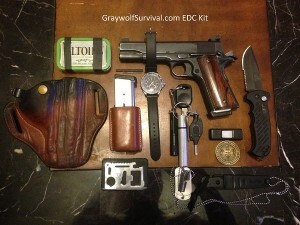 If you’re in a survival situation, you need to pare down everything to what you need and what you think you’ll need. Get rid of the rest. You only have room for so much and you still have to remember: two is one and one is none. Make sure you have everything you need to have, and nothing more. If you’re not already in that situation and you’re being proactive, then you’re a good little prepper. It’s not just enough learning just how to be a prepper, you need to know how to be a prepper who lives a prepping lifestyle today and not just gets ready to live one. To start with your prepping OPSEC plan, you need to inventory everything that you’re going to take with you if you bug out or keep with you if you bug in. This is also the time to think about what you don’t have. Make sure you’re prepared with everything you’ll need, some things that you want, and nothing more. You need to make a list of lists and then put everything on that list. If it doesn’t fit into a category you need, then you don’t need it. Start weeding out the things you know you won’t need to survive. Like your old college books that you kept for some reason. …because everything has an opportunity cost associated with it. You have to balance your needs and wants. Since you can’t take everything with you or even protect everything you take in most cases – especially when on foot or even in a vehicle, you’ll have to prioritize things. Later, you’ll have to prioritize even further to decide what you’ll need to protect. Each priority allows you to decide what resources you’re going to commit and what items you may choose at the expense of others. There several key descriptors you can decide to use for your inventory. Here is a suggested list but it may be beneficial to change it, depending on your circumstances. For the basic inventory, I use; Item, Photo, Description, Location, Size, and Weight. Depending on how detailed you want to get and which list you’re making, you probably want to add several more categories. Depending on your lifestyle and the people you’re planning to include, your stuff may require several completely different categories but I’d suggest keeping these at least. Item – First, you have to identify the item. If it is part of a kit and you are definitely going to keep it that way, then it may be beneficial to track it as a kit. If not, you may have to track separate items but somehow relate them to each other. 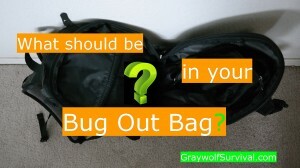 One example may be what you may decide to call your Bug Out Bag. The bag itself is one item to track but the bag and contents may be considered a set to make it easier. In other words, list your bag as one item and your complete kit, including the bag all as one unit, as another item. This way you can make a master list that just has a few items such as your EDC, bug out bag, vehicle get-home bag, commo bag, and caches 1-3. Each of those would then have its own inventory that should be kept with that item and also in a master file. Overwhelmed yet? Don’t be. It sounds like a lot of work, and it can be, but you need to go through your stuff anyway. How many times have you bought something and then a week later, find that you already had one in the garage next to your stash of Playboys? Photo – Take a photo of everything you have if that’s at all possible, along with something to reference for size like a ruler. I know this sounds like a lot but if it’s not worth taking a photo of, it’s probably going to be going into the trash pile. By everything, I mean everything that has the slightest possibility of being taken with you if you bug out or protected, used or traded if you bug in. There may be several things that you think are so obvious that it doesn’t bear taking a photo of but you’re planning for the unknown here. What if you have someone else join your group and doesn’t have the background that you have? These photos would come in handy. What if you need to trade with someone who doesn’t speak the language or it was someone you didn’t trust yet but were considering trading for something that you didn’t want to bring with you? What if you come across a deal on something that works with another item you have (such as a bag for a portable ham radio that you’ve been wanting to carry), and don’t remember the size of your item? If you had photos available, you could just look them up. Description – What’s it look like? Depending on how much stuff you have and how many other people are involved with your operation, a description, could come in handy. How can you take inventory later on if you don’t know what something on the list really is? Put down the color, serial number, model number, what software it’s running, etc. The more the better. This particular section is a section in itself as to what descriptors you’re going to use. Location – Where is it? As mentioned in the ‘item’ section, the location is a consideration. Is it in a particular box or bag? Do you have it in a protected room or out in the yard? Is it buried five feet north of a particular tree that grows seven miles east of your location? This location should be where it’s currently located, not where you want it to be located. You can add a secondary location for that if you want to but if you need to find something, it won’t do much good just knowing where it’s going to be later other than as part of figuring out how you’re going to pack those Playboys. Size – How big is it? If you’re assessing your property and room is not an issue, then the size of the item may not be all that important. If you are considering taking it with you if you leave, or you’re assessing all the things in a portable kit then size will be a huge (no pun intended) issue. If you only have two square feet of space to carry items then an item that takes up a square foot is a large investment. Size can be measured as height/width/length, volume, compared to the size of a breadbox, or number of ping-pong balls of space it would take up. Whatever works for you. Weight – How many pounds or ounces is it? You could use metric but you’d just confuse me so just use ‘merican. This is especially important for personally-carried items. It may also be important when planning contingencies such as moving items from one location to another in case your security situation changes. If you put all this down on something like a spreadsheet or 3×5 cards, it makes it easier to not only know what you have, you can start planning on where everything goes before you spend all the time and effort to actually move it. Because measurements aren’t exact and things don’t fit together like puzzle pieces, your plan and your end state may differ. It’s usually well worth the effort to put some time into this phase though. I would actually weigh each item. So go through what you have. 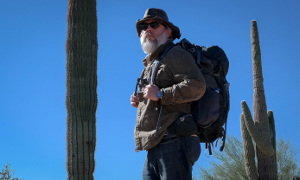 You can look at this a couple of different ways: if you’re bugging in then what you have now will be what you’d have if SHTF and your list for now should be your list if all hell breaks loose. If not, then you should be considering two lists. You need to know what you have now and you need to know what you’re going to bring with you if you bug out. Inventory everything that you have that you consider valuable. How to be a Prepper: OPSEC for Preppers Part 3: What do you need to protect? The next thing you have to do in learning how to be a prepper with good OPSEC… ( you need to bold or italicize things in your writing if you want the search engines to know what your article is about, in case you’re wondering why some of these things are bolded or italicized. Sometimes I just like to mix it up though). …after you figure out of all the things you have: what do you need to protect? What do you have that you can’t live without? Don’t forget family and friends, and yourself. Look at what you have that would be extremely difficult to replace if it were lost or used up, or difficult to repair if broken. These are the things that you need to focus your attention on. Don’t worry about protecting the stuff you don’t need. You may even want to carry things you don’t need that others may, in order to get yourself out of a predicament later on. One common practice that illustrates this point is a decoy wallet. If you are being robbed and you give up a wallet that has unimportant items such as random business cards and a few dollar bills, it may buy you time to get away – with your real wallet and the rest of your money and items. Look at not only how valuable it is but how hard it would be to fix if SHTF or if you couldn’t ask for help. Look at what would happen if someone stole it or broke it. What would happen if someone found out you had it? Ease of Replacement – Water is an extremely important item to protect in most circumstances but if you live over an underwater stream, draw water from a well with both electric and mechanical pumps, have a lake nearby, it’s priority of consideration for keeping would be different than if you were walking through a desert with just a camelback on. 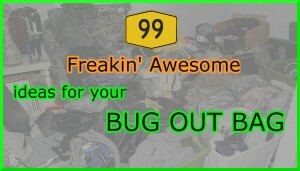 Same goes for items such as firewood, food, vehicle parts and so on. If you lost it, how easy would it be to get another? If it’s important and you would have a hard time replacing it then you have to protect it better. If not, you can afford to allocate your resources to protect other things more. Sentimentality is a part of the consideration of ease of replacement that may supersede other considerations. An item may be of no use to you or anyone else except it’s kept as a reminder of a loved-one. Even though on the surface it may look like you don’t have to consider its protection, perhaps you do. Cost factors into the ease of replacement because it’s directly tied to value but in a SHTF scenario or during the aftermath of a natural disaster like a hurricaine, values change drastically. Don’t just think of something costing the $10 to replace it that you spent to get it. What if that $10 paid for antibiotics and someone got a cut that was starting to get infected? Those antibiotics are now worth everything to that person and others with them. Ease of Repair – Do you have an important item that you wouldn’t be able to fix if it were broken? If so, you have to put this item higher up on the list than others. Someone may not steal it but it could seriously affect your well-being if it were damaged. What is it worth? To a businessman in downtown Vegas on a Saturday night, a wad of hundred dollar bills is worth a great time and could even have an effect on his career and relationships if spent on others. To someone stranded in the woods with no hope of rescue on a cold night, it may be worth even more: tinder. If the world , or your immediate world, were to take a drastic left turn, what we see as expensive or valuable may be worthless overnight. Is there a substitute? – One thing to keep in mind with worth is related to the previous topic of replacement ease: substitution. Are there other things that could be used instead? In the above example of antibiotics, you may not have a leftover subscription of penicillin that would be of value to the concerned father but if you had some form of veterinary medicine, in a survival situation, you could save that child’s life. There are also plants that have antibiotic properties such as pine resin. How much would just that knowledge be worth? Of course, if there are no pine trees to get the sap, that knowledge may be worthless. Basically, you may not have the ability to replace an item if it’s lost but if you have the knowledge and ability to find a suitable substitute, you may not have to worry as much about protecting that particular item. When deciding what it’s worth, you not only have to figure out what it may be worth to others, you have to figure out what good it is to you. Why do you really need it? In order to understand that, it might pay to understand just what a need really is. Needs vs wants. Do you know the difference? A need is something that its loss would have a negative effect on someone’s health or function. A want is something that has a positive effect on your quality of life, however you measure that. You may still want to keep something even though you don’t actually need it but you may come to a point where you have to make a choice. You have to decide if you need it or just want it really badly. Everything has an opportunity cost associated with it. You need to learn how to be a prepper with priorities. Physiological needs are basically what the human body needs to survive. If these needs are not met; we die. Items that provide for these needs are such things as food, water, basic shelter and air and sometimes medical supplies and information. Items that satisfy these needs would typically have a higher priority for protection than others. These are the survival skills you first jump into when learning how to be a prepper. Safety and Security needs are a definite priority in a survival situation. Many things can contribute to safety such as shelter, ammunition, relationships and so on. These items must remain high on your priorities but may not be has high as that of items that satisfy physiological needs. That doesn’t mean that you would always prioritize items that provide for the satisfaction of physiological needs over safety needs, however. For example, if the supply of food is plentiful or easily obtained, you may decide that packing an extra 500 rounds of 9mm ammunition may suit you better than an extra meal ration. Some items that satisfy safety and security needs are not immediately apparent. Financial security and overall health and well-being are among the needs in this category. A jump rope may not be recognized as immediately important (although it could be used as a rope, if need be). At second glance, however, you could see that it could keep someone in shape, thereby mitigating disease. Keeping in shape also increases your cardiovascular system, which could come in handy in either a combat situation or while hasty advancement to the rear. Love and Belonging is the next set of needs in the hierarchy. Humans have a strong urge to be a part of a relationship or a group and why we risk our lives to impress people. This is why a picture of your kids may be worth more than eating for a day or more. Having things or doing things that keep you important to a group may be important to you as well. If you’re a part of a community that values you as a mechanic, then having tools could be immensely important to you; more than the medic next door. Items that increase your value in the sight of others would also belong to this group. If you lived in a shelter that impressed the pretty girl living in the tent nearby, your perceived value may increase because of the shelter. That shelter now not only protects you and keeps you warm, it gains you a sexual or relationship advantage over others not so lucky. Self-esteem is how much value you place on yourself. Some items or abilities can affect a person’s self-esteem. These items are those that help someone gain recognition from others or a sense of value. A guitar may be worthless to someone who doesn’t play but to someone who plays well and is appreciated for his playing, it can be worth its weight in gold. Maslow spoke of two versions of esteem needs; lower and higher. The lower is the need for respect from others and the higher is self-respect. This can be thought of as external and internal respect, although both are intimately related. Self-actualization is the highest rung on the hierarchy of Maslow’s needs. It is essentially what is a person’s full potential; what they were born to do. Some people may be strongly drawn to teaching or medicine while others may feel fully alive while protecting others. A common misconception is that the theory says that people must fulfill their needs on a lower rung before they need higher ones. Being at the top doesn’t mean it’s any more or less important than the others. It just means that in general, if someone is lacking in having their lower needs satisfied, they may have stronger motivations to fulfill those before moving on to self-actualization. How to be a Prepper: OPSEC for Preppers Part 4: Who do you have to protect it from? Ok, I know that should have read, “…from whom do you have to protect it.” Get over it; it’s my blog. …and we’re back – This is a very important step in learning how to be a prepper with good OPSEC. If you don’t know who you’re protecting your stuff from, you won’t have a thorough idea of how you should protect it. You have to consider all threats, their capabilities, their motivations and intentions. If you have a lot of valuable stuff, and your life depended on having it all, your plan will be a lot different if you lived on an island than if you lived in the middle of the Bronx and SHTF. You’ll be coming up with a plan of action later, and your adversary’s capabilities will be very important. You’re going to have to run through several scenarios to think about this thoroughly. It helps if you know just exactly what you’re planning for. Different situations can present different threats from different people. Each of these situations can also present different threats as the situation deteriorates, which is what we call a threat continuum. Take the example of a temporary SHTF scenario where your town’s been flooded. At first, the threats to your safety and well being are going to be pretty much only the water and associated threats like gas lines erupting or exposure. Other people in this stage are going to be more helpful than they usually are. Consider that they may not be an immediate threat but that could change later. If you tell someone that you have a stash of supplies, it may not be a problem at the time. If the situation doesn’t improve in a couple weeks, that same person will be looking for your stuff. Look how many times you’ve heard about family knocking on the door of their crazy prepper cousin after nature bore down on the town. Neighbors are even worse. The human threats from the first stages of a disaster like that will come mainly from people who are potential threats normally. They’ll take targets of opportunity, and there’s a lot more opportunity in a SHTF scenario. As the natural threats change, more opportunities present themselves and people start changing their priorities. Their priorities will start heading down the hierarchy toward the more basic needs. The longer a survival situation lasts, the more danger from others will be present. The next stage are the friendly threats. Basically, the sheeple who either didn’t prepare or didn’t prepare thoroughly. They’ll run out looking for water immediately and food and power soon after. They’ll see your lights on and invite themselves in. Your family, friends and neighbors are going to be the worst offenders here. This is where you stand in the window and stare out at them while drinking your ice-cold beer and go, “Fools! Told ya so!” This is one of the reasons why OPSEC is so important while you’re prepping. It doesn’t do much good to stock up for a month for four people if a week into it, six more join in and don’t bring anything to the table. These people may not be threats today but giving them critical information now will empower them later. Your OPSEC should start the day you decide to be a prepper. The last stage is the gang and marauder stage (I’m jumping ahead here because there are other references out there that you can read intimate details of how people act in a SHTF scenario if you’re so inclined, and I’ll be writing on disaster psychology at some point anyway). Some people will gather together into groups to protect themselves. A small minority of groups will gather together to take what other groups have. As the situation deteriorates, this minority will grow. You’re going to have to work together with people to join or start a group. These people that you join could potentially turn on you later. Be very careful about who you let into your inner circle. Friends and family can make the worst enemies. How to be a Prepper: OPSEC for Preppers Part 5: What information would an adversary want to know? You need to know learn how to be a prepper who thinks like the bad guy. Some pieces of critical information to protect may be the simple idea that something exists. Sometimes robbers will take targets at random and hope that they come across something useful but doing that has a risk associated. If they’re reasonably sure you don’t have anything, they may just pass you by. Just knowing you have something could be critical information. Others include pieces of critical information could be protecting against how someone could get to what you have. When is the safe unprotected? – Thursdays when we all go LARPing. Each of these things as they are seen from the enemy are called OPSEC indicators. You could go on for a long time with just this one thing, which is why it’s so important to break down exactly what you need to protect and what you don’t. Keep in mind that OPSEC isn’t about how to secure a thing, it’s about how to protect information about the thing’s security. An example of an OPSEC indicator could be the box in the garbage that came with the pistol you put into the safe. This is where the ‘know thine enemy’ part comes into play. You’re now going to look through the eyes of the Purple Dragon and try to figure out what he would want to know and match that up with what information is theoretically available for them to know. This is where you have to think like the Wolf. This set of information that you put together is your first group of Critical Information. It’s called critical information because it’s critical that you protect it. Your list of critical information will change as you go through the process. You need to learn how to be a prepper who thinks about not only what you’re doing but how other people see what you’re doing. The need to hide some things is obvious, such as the combination to your safe. Some things, however, are not so obvious. Some military and government agents are trained how to piece together things. As we learned in the last section- OPSEC for Preppers (5) – What Does the Enemy Want to Know? – these things are the OPSEC indicators I mentioned before. Sometimes an indicator in itself isn’t all that important. Putting together an event, person, or thing together as a pattern of events or along with other events, people or actions can also be an indictor. What can they find out that they could use to piece it together? A Signature is basically what causes something to stand out. If the signature is out-of-the-ordinary and happens frequently, it’s more easily identified that it’s something important. If it keeps happening, especially in a certain pattern, it’s more easily predicted and collectors and analysts can either learn more about it when they want to or they can start piecing that action along with other items that happen at the same frequency or at the same location. Changing the locations and the times of different actions reduces their signature. That’s why you should vary your routes when you go back to your bug-out or bug-in location. An Association is how one indicator is related to another. This is a key item for analysts because it can give away a lot. Let’s say for example that you leave your house to the North every day and are back usually in about an hour but on certain days you head South and are gone every day. This could be because maybe you go for coffee every day to the North but on certain days you drop off the kids to the babysitter while you go to your job. After watching this pattern for a while, if they see you head South on a certain day, they wouldn’t have to follow you that day because most likely, you’ll be at your office, where surveillance can pick you up again. Varying your pattern of directions in this case would make it much more difficult to piece together your pattern of life and predict your actions. A Profile is the sum of several signatures. The more unique and indicator is, the easier it is to associate it into a profile. If you’re in a SHTF scenario and you’re heading for water, watch what you do, when you do it, what you bring and what you wear. Sometimes people can put things together that you might believe are unrelated. If you knew that when a person went to the South from their house that they were going to work that day, and if you also knew that if they dressed up that day that they were meeting the person that they were dating, you could, perhaps, piece together that the person that they were dating may either show up at their work or maybe they’ll be meeting during lunch. Also, if you’re at a bug-out location and you always check your traps when you go for water, you give away that you’re going to be at your traps later in the day if you leave your place with a water bucket; they don’t need to see you bring out anything trap-related because you’ve associated the two patterns together by not varying them. Watch what things you’re doing lead up to other things you’re doing. A profile is the sum of multiple signatures. In other words, when multiple signatures are detected, the combination therein would be more or less unique to a particular mission or task. For instance, if signatures are detected that indicate that aircraft fueling capacities are in place, as well as air traffic control, personnel and weaponry, a profile can be compiled indicating future air-based operations. If a unique profile is observed, an analyst may be able to accurately determine which type of operation is in progress, minimizing the need for additional observation and analysis. A Contrast is a difference in behavior or pattern that has been established. This one is a key one because people don’t usually plan this in as part of their OPSEC Measures. If you do the same thing day after day, it’s expected that you’ll continue doing it. If they are watching you and know that something’s happened, such as in the case of a trader that you know might come into the area recently from out of town, they don’t have to have an established pattern of seeing you meet the person. By you varying your route the very next day after that person arrives, they might conclude that you’re going to meet that person and could set up an ambush for them to take their supplies. The more your indicator contrasts with normal operations, and the more the profile of your indicators changes, the more likely it is that this contrast is associated with something else. Exposure is how long and how frequent an indicator is seen. If you do something for hours, it’s likely to be noticed. Also, if you do things every day, even for just a few minutes, it’s likely to be noticed. The more exposure an indicator has, the easier it is to tie it to a pattern, put it into a profile, and associate it with other indicators. If you need to do something on a regular basis, change how you do it, where you do it, and when you do it. People in desperate times can be masters at putting together clues. If you walked up to a house and saw a plastic rattle in the yard and smelled dirty diapers coming from the trash, what would you think? Obviously the house most likely has a baby in it. Does it matter that someone knows that you have diapers in the house? Not directly unless they desperately need some for their own baby but putting this together with other clues leads them to the conclusion that you might have other things that they want. What do people who have babies typically have with them? A girl or a woman to protect them and care for them? Medicine? Baby food? Remember, you’re adversary doesn’t have to actually know what you have in order to be a threat, he just has to think you do and think that it’s worth whatever trouble he assumes he’ll face in order to take it. You have to get into the mind of your adversary, think about what they can see, smell, hear and find out about, and then try to figure out what they would piece together. Ever had your car broken into because you had an empty wallet or purse sitting in it? It’s not about what you have, it’s about what they think you have; and what they want. You have to consider things from the viewpoint of the dragon, not your own. How to be a Prepper: OPSEC for Preppers Part 7: What could you do to protect those pieces of information from your adversary? Here’s where it all comes together to know how to be a prepper with good OPSEC. This is the crux of your OPSEC Plan. Think about what you’re trying to protect and what you can afford to lose. Think about who would want the stuff you have. Think about what they would need to know or assume in order try to get what you have. Think about what about your life they can observe or find out about from others. Now take action on the pieces. Hide your valuables. Vary your routes to and from places. Mask important smells. Be thorough to be discrete. There are a lot of ways to do this, and a lot of reference material out there but here are three things to consider with your plan. The three categories of OPSEC Measures are Action Control, Countermeasures, and Counteranalysis. Action Control. The objective here is to eliminate any indication of vulnerabilities to enemy exploitation. Essentially, this is changing what you do to hide what you’re doing, who you’re doing it with, and what you use to do it. This is the defensive part of your plan. Look at what you do, where you do it, who you do it with, what else you do when you do it, when you do it, and how often you do it. Countermeasures. The objective of countermeasures is to disrupt the enemy from gathering information on you by changing or camouflaging your indicators. Use diversions, camouflage, concealment, jamming, threats, police powers, and force against adversary information gathering and processing capabilities. This is the offensive part of your plan. These are the actions you take to stop the enemy from finding out what you couldn’t protect in step 1. Counteranalysis. This stuff can be pretty sneaky. Basically, you’re running a campaign against the guys who sit down and look at what their collectors have brought them. It’s the chess game part of the OPSEC Process. During this part of the OPSEC 101 plan, you have to consider each piece of critical information and what it’s protecting. You may find that protecting some pieces of information is relatively simple and some pieces will cost more than they’re worth. Hash it all out until you get a decent plan together and then take action! Once you’ve made the plan and started taking action on the steps of your plan, go back to step one and look at what you have now and bounce what you now know off of that list. If you’ve done it correctly and thoroughly, you’ll now see a few things in a different light and decide that you need to get rid of a few things, keep a few that you weren’t going to, or decide not to worry about protecting something due to the cost of it all. The OPSEC Process is a cycle. That means that you’re never done with it because you continually go through it, fine-tuning it as you go and adding or subtracting pieces of it as you learn more or things change. So that’s a basic overview of learning how to be a prepper – OPSEC for Preppers. There are plenty of articles to follow that will expand on the details of OPSEC in the near future, and there is also a LOT of information out there, especially in the realm of computer security. 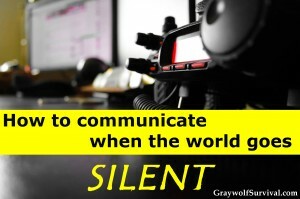 What you have to do is break it down Barney-style and figure out what OPSEC has to do with Prepping for a SHTF or TEOTWAWKI scenario, or even just living in today’s world. If you really want to start getting into it and can’t wait for my future posts where I break down the different elements of OPSEC and how you can take specific action as a prepper, you can read the Joint Publication 3-54, Joint Doctrine for Operations Security. Feel free to send in or comment below on any ideas you have about prepping OPSEC. Loved the article and also a lover of dark, rich beer. Had to start making my own! … You certainly understand OPSEC and thanks for the DOE mention. Thank you brother. Keep an eye out to make sure I don’t word anything confusingly or whatever. I get on a roll sometimes and find outright mistakes, especially when I’m using my iPhone to write as I’m waiting for something. Great site btw. I edited the post to put your link into the Department of Energy mention. Great article and information that can really make a difference. 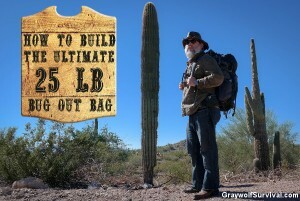 Thank You Graywolf Survival.